It doesn’t matter if you need to launch a new product, write a book, or design a new website – at the end of the day, everything breaks down into tasks that you need to complete. we all have different systems how to make sure that we get things done – here are three tools that help us do it. 1. Choose your task and work on it for 25 minutes. 2. Rest for 5 minutes. 3. Rinse and repeat 4 times, then take a longer break. This technique is an excellent way to make sure that you are focused on one specific task at time. Knowing that you have a limited length of time to work on your task before you take a short break, makes it much easier to avoid distractions like Facebook, email, or ‘just checking Cracked for a second’. The five minute break helps relax your brain, gives you the chance to get a fresh cup of coffee, or refresh your playlist, before you dive back into the task at hand. FocusBooster is a desktop application that helps you use the Pomodoro technique with a clean interface that shows you exactly how much time you’ve been working on each task, and rings to let you know when your time is up. Managing meetings is always a hassle and usually takes you more time that you think. You need to make sure you don’t forget to invite the people that need to be there (and not invite those that shouldn’t). You need to create an agenda, and make sure that everyone knows what it is. And of course, when the meeting is over, you’re the one who has to sit down and decipher your handwriting as you rush to write down what decisions are taken, and what tasks need to be carried out, and send it off to everyone involved. 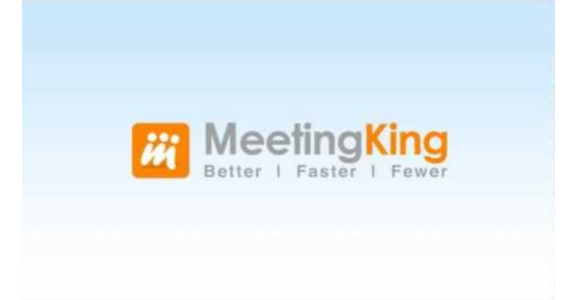 MeetingKing takes away that hassle. This online meeting and task management tool makes it really simple to to set up a meeting – in fact, you can even do it just by creating a new meeting event in your Outlook or Google Calendar. Creating agendas is easy, and there are pre-made agenda templates that you can easily adapt to your own purposes, and when the meeting is over, one click is all it takes to send emails to the meeting participants with the meeting summary and decisions. The system is incredibly simple. Take a large calendar, and choose one task that you need to do daily. For example, ‘don’t smoke’, or ‘write one page of my book’. Every day you complete the task, you mark the day with a big red ‘X’. And you don’t ever, ever, break the chain. The point is, of course, that after a few weeks of this, you LIKE seeing that big red ‘X’. You like seeing the chain grow, and you’ll work at not missing out any day, and making sure the chain doesn’t break.